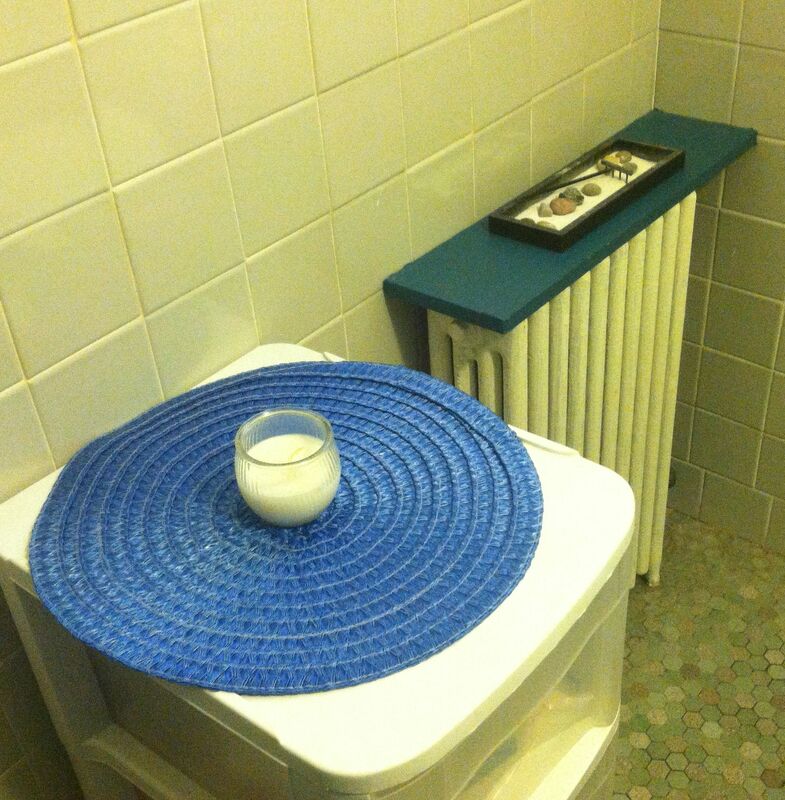 When we moved last year, the bathroom was hideous with tiles that must have been installed sometime during the 60s. I was excited to think that I would have a chance to make my ultimate geeky bathroom. 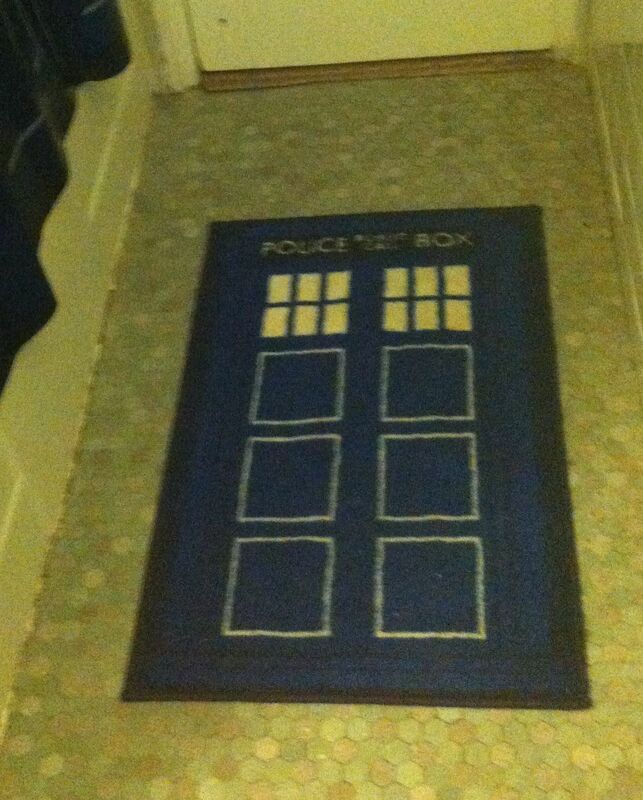 Despite its small size, I wanted the bathroom to scream Doctor Who when you stepped inside. 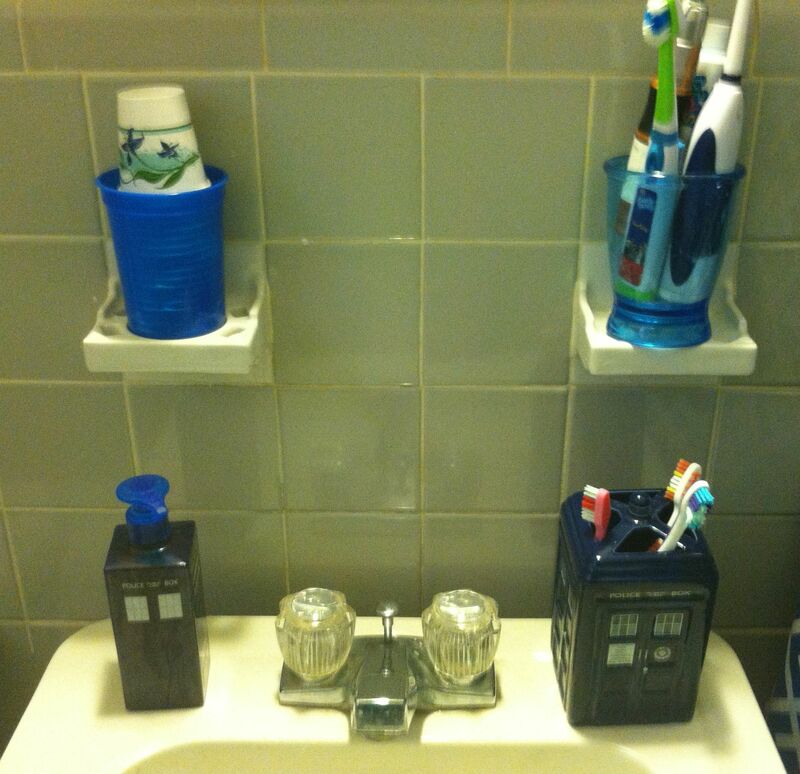 I exhausted my search for Tardis bathroom items and settled on making them myself. Before I could started, some odd twist of fate occurred. 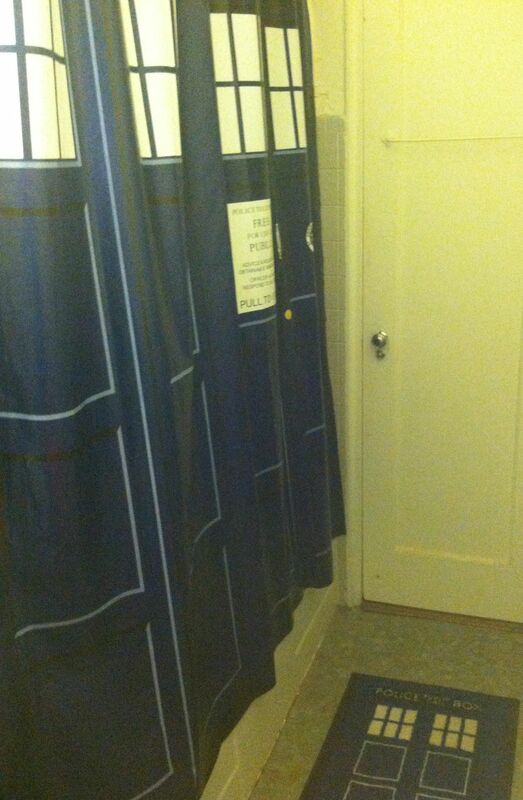 ThinkGeek sent out a notice about a new Tardis shower curtain. Within a matter of weeks, I had my shower curtain, bath mat, toothbrush holder, and soap dispenser. I supplemented all of this with solid blue items that I picked up at discount stores and even a spare piece of wood that came in my sister’s wine rack box.